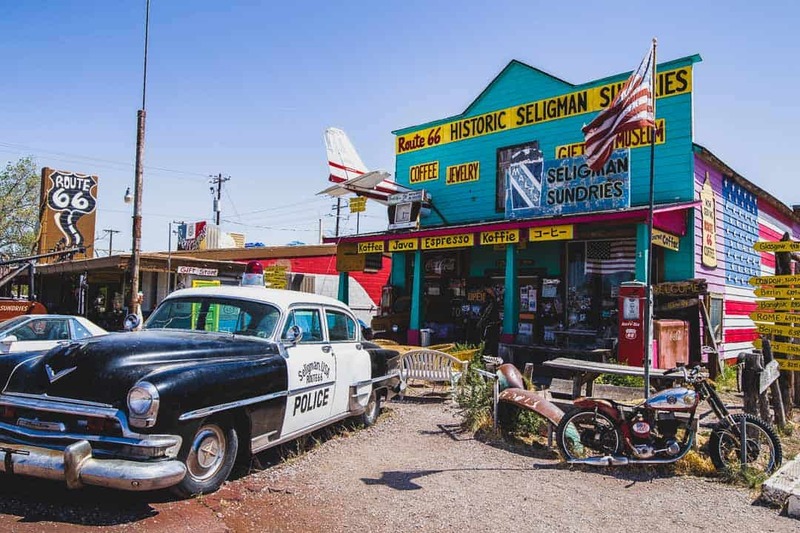 Seligman, Arizona is a genuine piece of history along Route 66. It is a bit off the beaten path, which adds to the authenticity and experience of visiting. The town, like many of its kind, originated as a railroad stop. 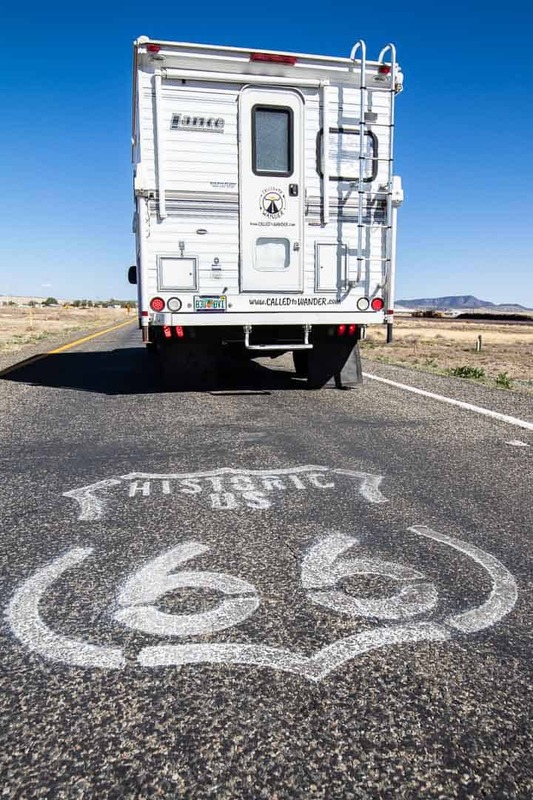 In time Route 66 made its way through Arizona and forever enshrined the town. 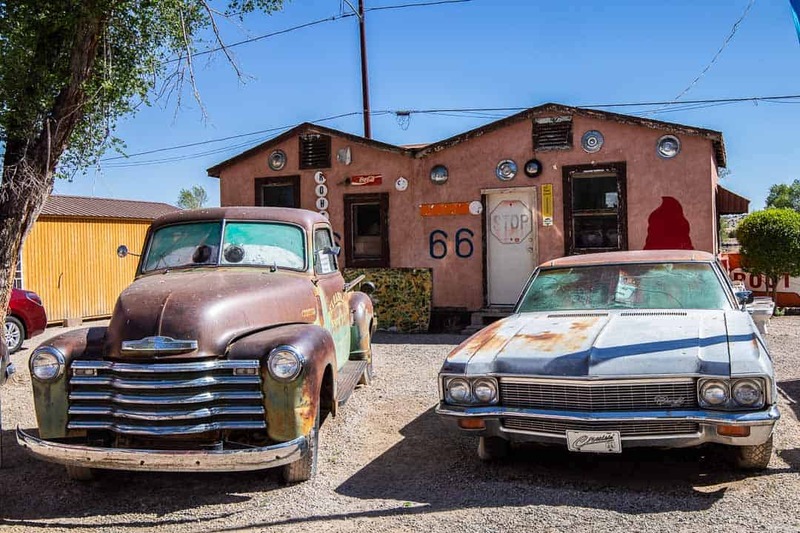 Visiting Seligman is a must if you fancy a drive along Route 66. The town boasts one of the few stretches of original highway. 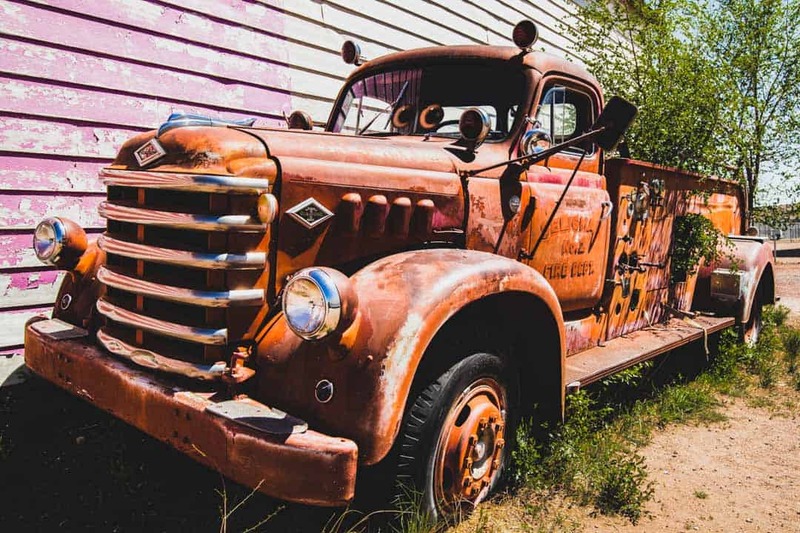 It is full of colorful relics of the past glory of the town. 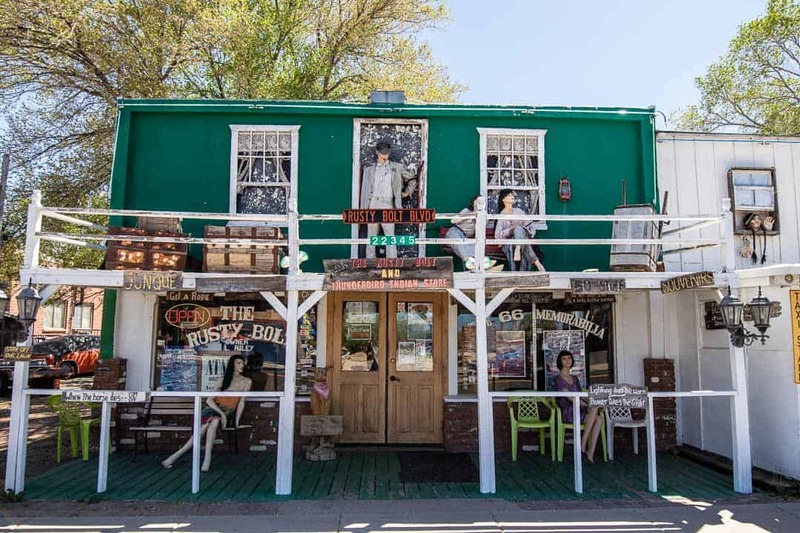 A stroll down the mile-long “Historic Route 66” road through town allows your imagination to piece together its storied past. 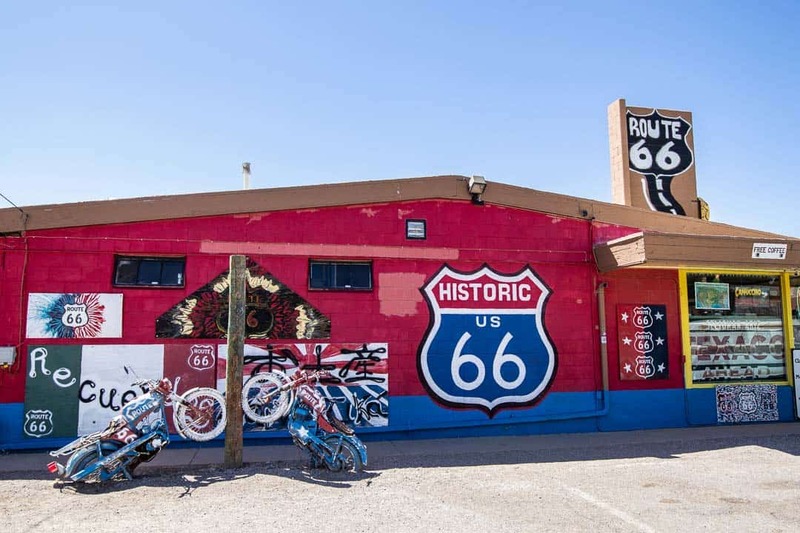 To this day there is still argument among cities and states both over where Route 66 began and where, in its various portions, it connected the east to the west. This changing route, combined with the Interstate System absorbing many of the links between major cities and towns, dissolved most of the official Route 66 highway. 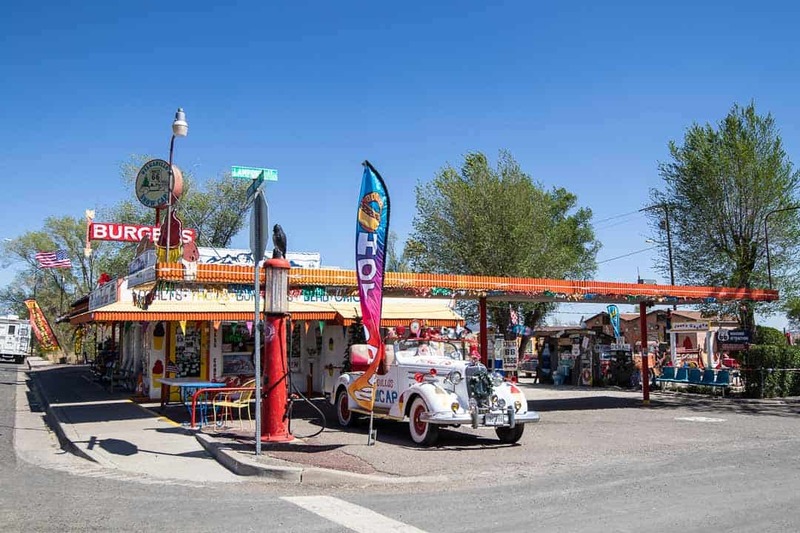 Seligman, however, remains true to it’s Route 66 roots. The town is located just off I-40 about halfway between Flagstaff and Kingman. 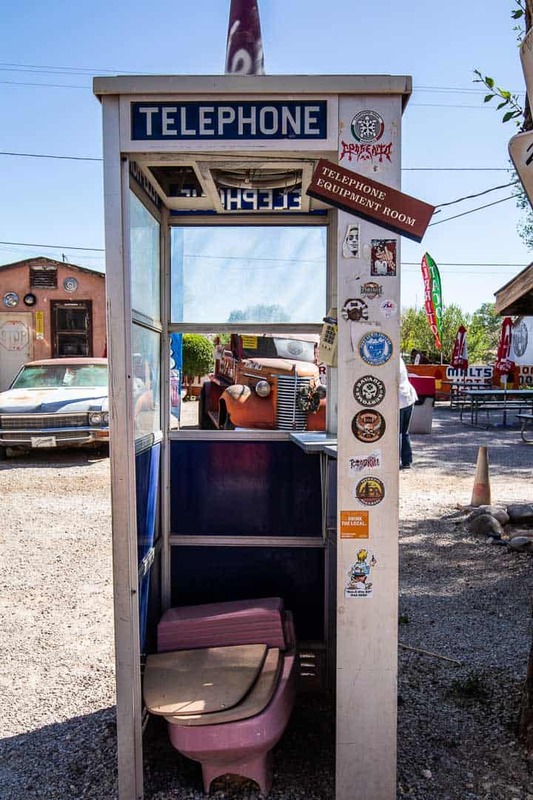 If you are interested in other Route 66 Markers, Seligman is a great stop between Williams and Kingman. 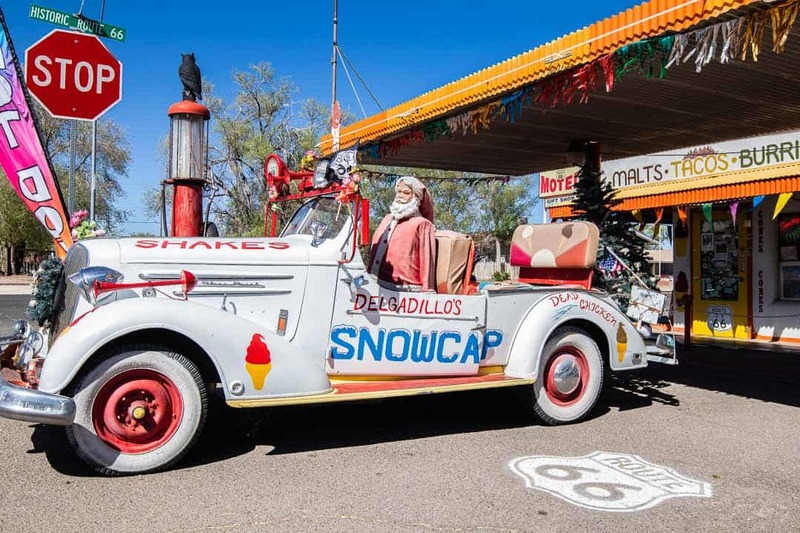 For a true taste of the past, you can’t go wrong with a burger and shake from Delgadillos Snow Cap Drive In. It was by far our favorite place to stop for a bite to eat! Can you see “Called to Wander” on the window? You can find a relic graveyard in the parking lot behind the restaurant. 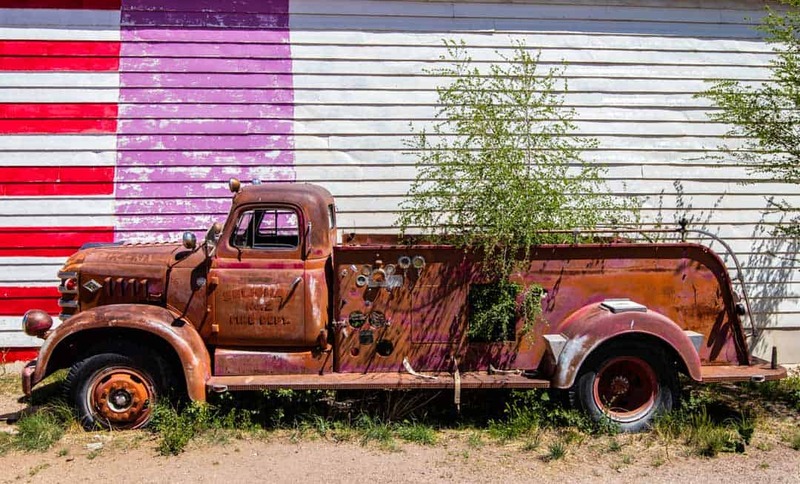 There are lots of pieces of the past parked out back to explore and photograph! 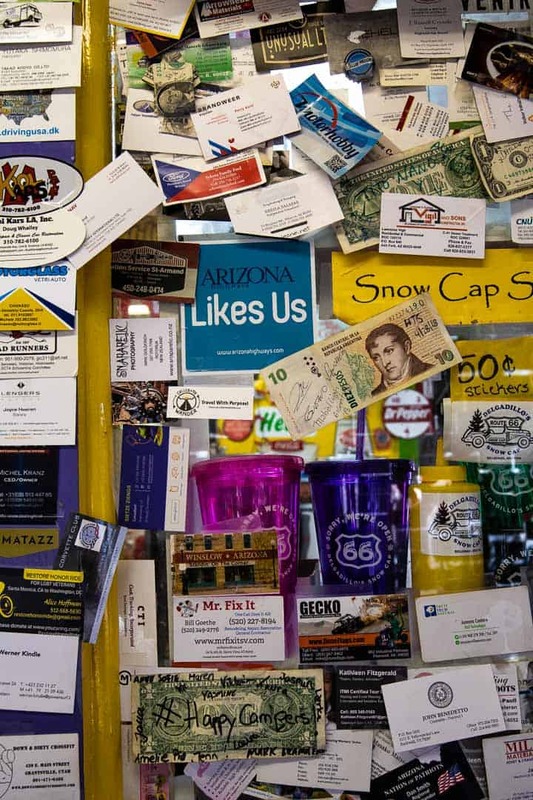 Tourism remains the most vital economic resource for Seligman. And there are a dozen places where it would be quite easy to spend a few dollars here and there. 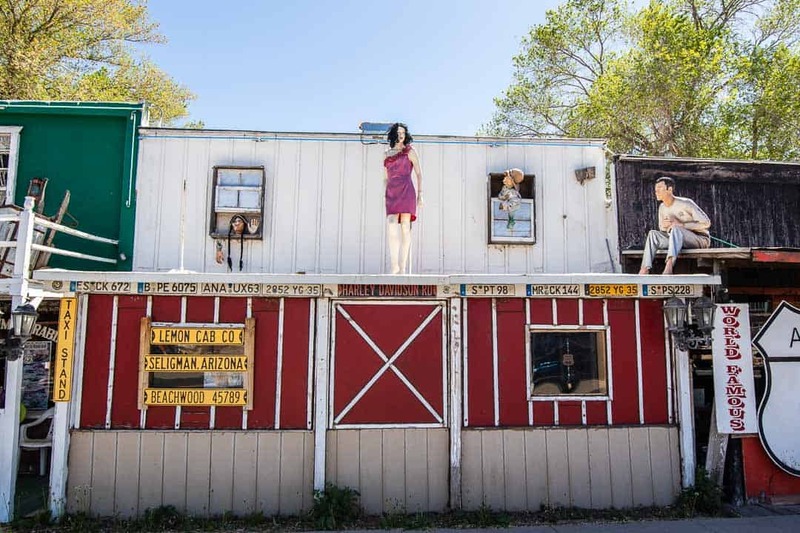 All of the stores are locally-owned by people who can tell the town’s storied past. A stop in any shop will give you an opportunity to meet the people who keep the town alive in time. 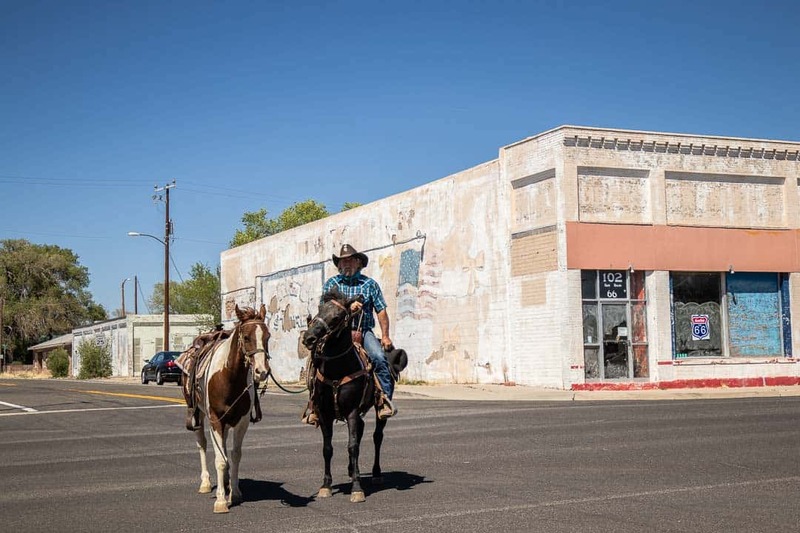 You can even ride through Seligman if you fancy taking in the sights from on top of a horse. 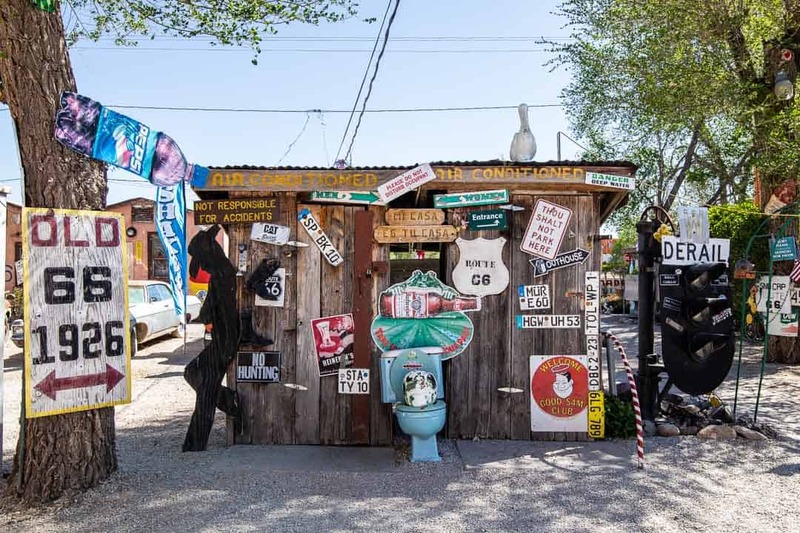 FOLLOW THE LINK BELOW TO FURTHER EXPLORE ROUTE 66!